Are you a little tired of always going with your french bulldog hairs everywhere? Clothing, couch, bed, car, ground… and the washers of all your family and friends! The hair of any animal adheres everywhere and if we have certain habits of cleanliness becomes unsanitary and with little style, because nobody likes to go full of hair, it is inevitable because there are no miracles, but we can greatly avoid it and clean them. All of us who have dogs, frenchies or cats know very well what we’re talking about. 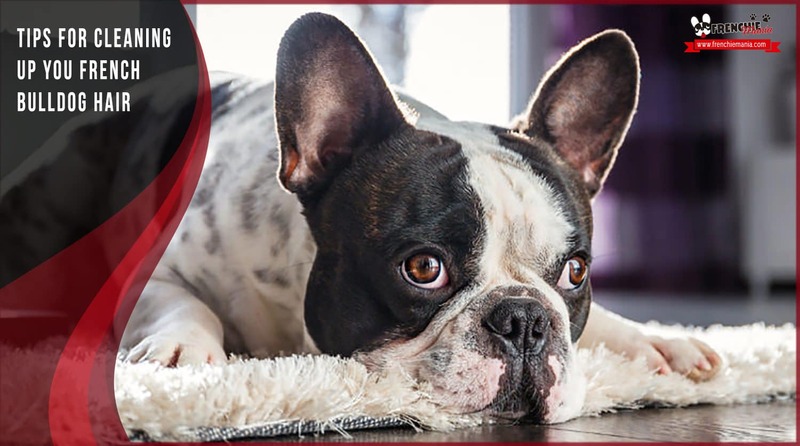 So today we bring you a post with tips and hygiene habits that will make your time easier to deal with the hairs of your french bulldog. 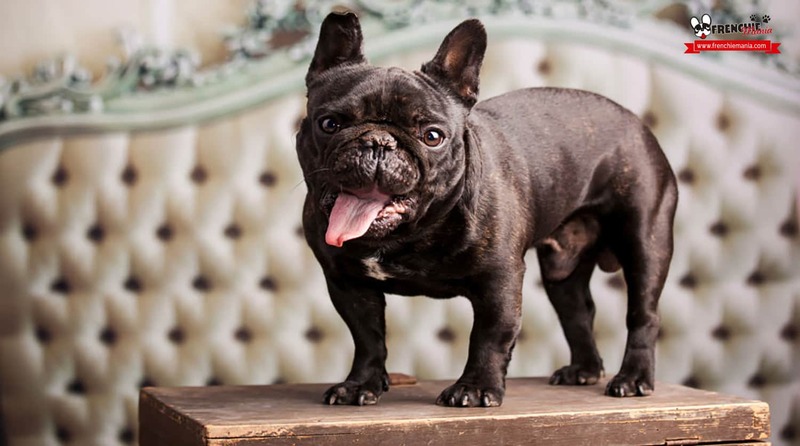 Many people think that the french bulldog by having short hair does not shed, but if it does in some cases more and some less, in fact short-haired dogs loose more hair than long hair and nailed up as thorns in everywhere. 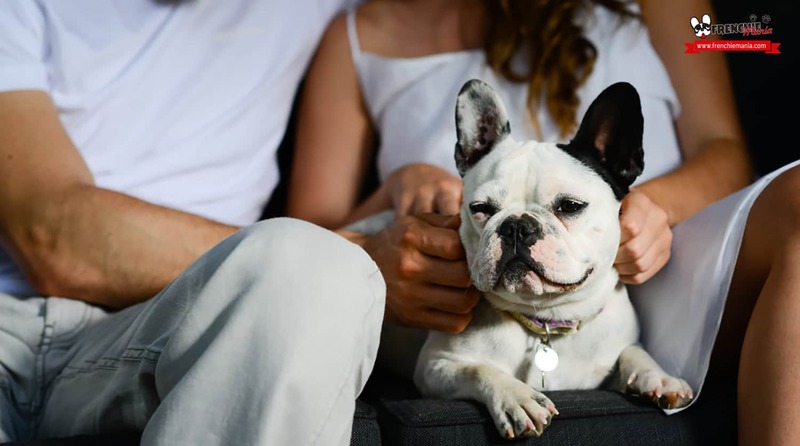 Remove the hairs of our french bulldog is usually something desperate, because not only we carry them but also they accompany us in our family and friends lifes. No matter how many times you shake a garment before and after putting it in the washing machine, always they will have hair because as we discussed they get much stuck in clothing, like the spikes. By the time you leave the house you can use a brush with adhesive that you’ll find in stores like IKEA and many supermarkets. 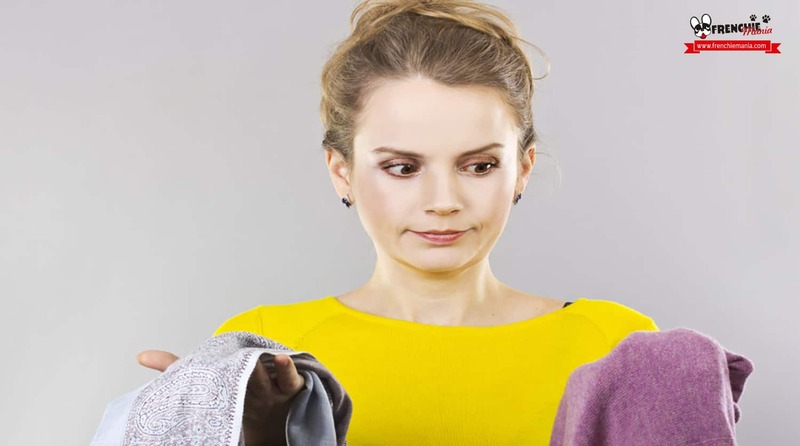 The problem is thet when we wash clothes in the washing machine will not easily go also over time can even spoil the cluster of hair so it is very important to shake well everything you’re going to wash to get rid of all possible hair. You can get a sponge bath when you wash it, in which many of the hairs that you put in the washer machine will be nailed on it like they do on your clothes. 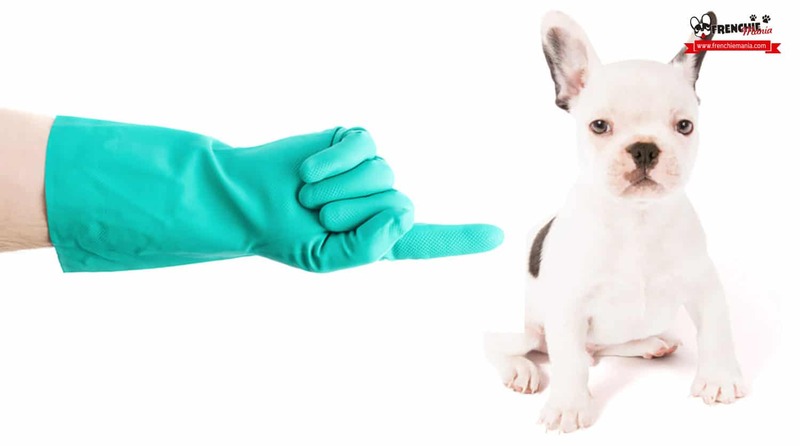 If you not always wash protective covers from the couch, if you have cases and not wash them every week for water usage, you can use rubber gloves to drag most of the hair on your french bulldog, you can also do it on bed and other surfaces that let up to your frenchie. You do not go around, but if you get enough hair it will be much more hygienic. In most cases, dog owners protect our sofas with covers, sheets or towels so our french bulldog can climb, not only with hair but because they can stain as when they go out, they bring everything in their legs and as if it has rained over or has gotten worse in the mud. But if you do not protect the couch cleaning will be more difficult if your sofa is leather just to spend rubber gloves will retire excess hair, if your sofa has a normal back upholstery you can use rubber gloves or a damp sponge. The carpet is a place that frenchies love, they are dogs of palace as mentioned on many occasions, so if you can put on some warm cloth then is much better than the cold floor or ground. For cleaning carpets vacuuming is recommended at least once a week, more often if you can, much better. Vacuuming will remove a lot of hair but not all of it, wise pass in both directions several times to collect all possible hair, and if you have several powers use the maximum. Once this is done you can pass again the rubber gloves that we used above to give a final review of creeping back all the hair, or a damp sponge will also help remove them. 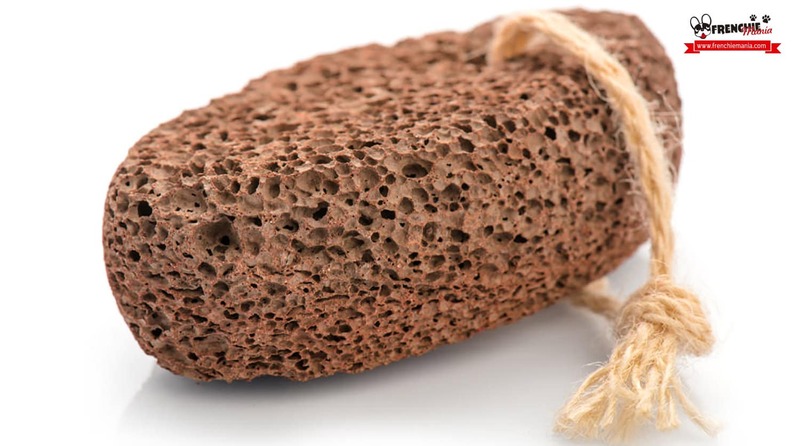 Use a pumice stone, such as those used in the bathroom to remove the hardness of the feet, it can also be a great ally when it comes to cleaning carpets, also drags fine hair and can help you make that final review after especially when the vacuum has taken away lots of hair stuck in it. The accumulation of hair on home floor is inevitable, if you have time to vaccum it every day you’ll keep it clean, but in most cases our lifestyles, work, children do not allow us to do it every day, but at least once a week to keep their best. 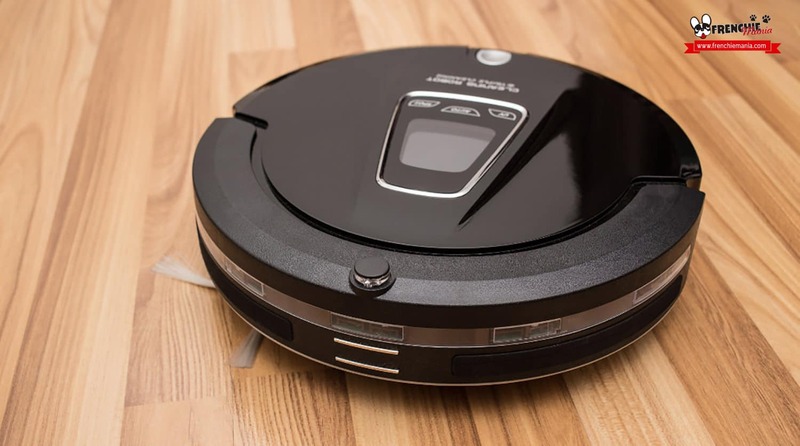 Having a good vacuum cleaner at home is vital, and you can collect a lot of hair, you know there are circular vacuum robots also work alone so I just have to get it running and ready, yes, you have to empty the tank or bag frequently so you do not spoil it. For wooden floors you can use a dry electrostatic or microfiber mop in which the hairs are attached upon passing. Like dust, hairs of our french bulldog reach everywhere including household furniture, to clean them you can use microfiber cloth easily find at the supermarket with a little furniture polish or any product for wood, spray will eliminate static electricity, making it easier to remove and decrease the likelihood that hair easily comes back. 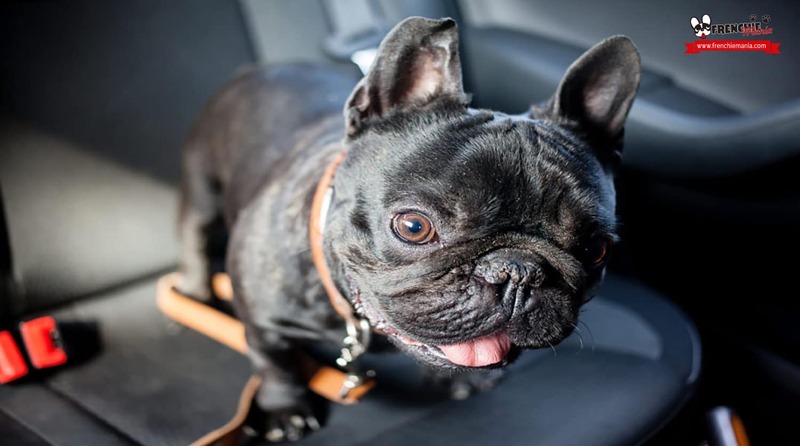 If you drive with your french bulldog frequently in the car it is advisable to protect the seats with a dog protective sleeve seats or at least a towel or blanket, to avoid staining and deterioration thereof upholstery. Occasionally shake it well and wash as noted with clothing. In case you don´t protect it, you can use rubber gloves to drag the maximum possible hair. In the rest of the car mats, sometimes it is very difficult to remove it, you can use a pumice stone that will rip them odd more easily. Vacuum cleaners in petrol stations in most cases do not have a lot of power so if you use one some may go away but not all of them. You can take it on occasions to a company of car cleaning because they have much more powerful vacuum cleaners and the result is surprising. There are also in some pet shops some accessories for cleaning hair of dogs, the vast majority of rubber so the result is similar to what we have told in this post and what better than to remove them with the resources we have at home? The rubber gloves we almost always have at home, will help you easily drag the hair on any surface or garment. These vacuum cleaners are wonderful because you can start them while you are doing other things at home, although it is true that they do not always reach all corners. If you do not have one of these a normal lifelong vacuum also serves of course. The sweeping brushes do not always clean well because the hairs are stuck on the bristles and instead clean and drag the hairs all over the house.Her hair on any surface or garment. 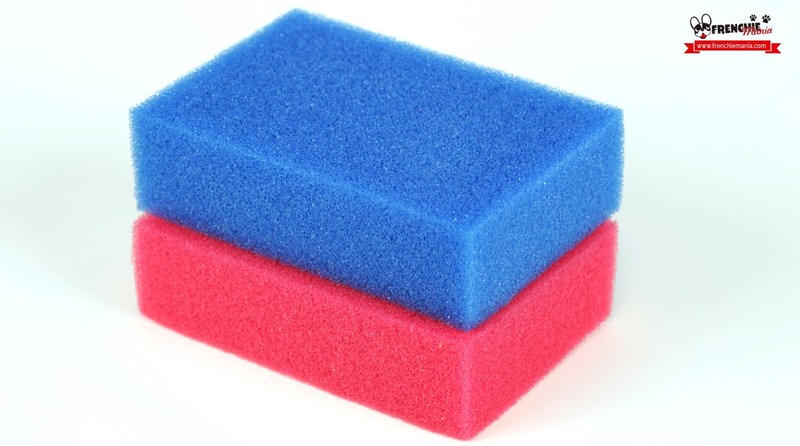 Bath sponges can also help you wash your clothes as they get into the washing machine and the hairs are stuck in them. 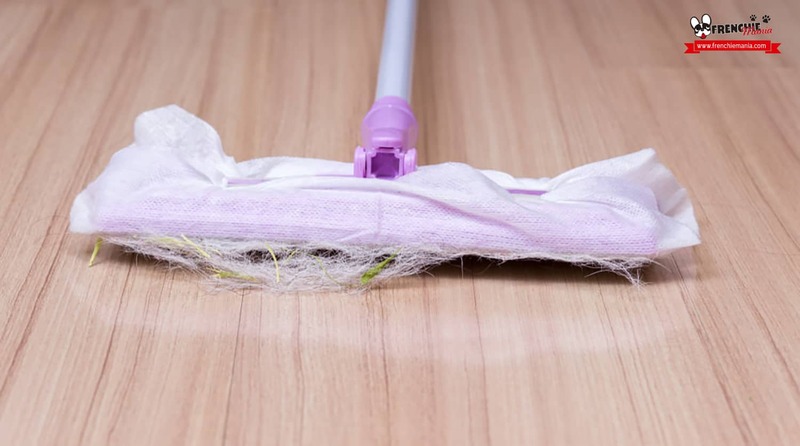 The mop also collects hairs from the floor, but it is recommended that you change the protection every time you use it since the hairs stick almost more than the dust and if you want it cleaned you will have to put a new one at a time. 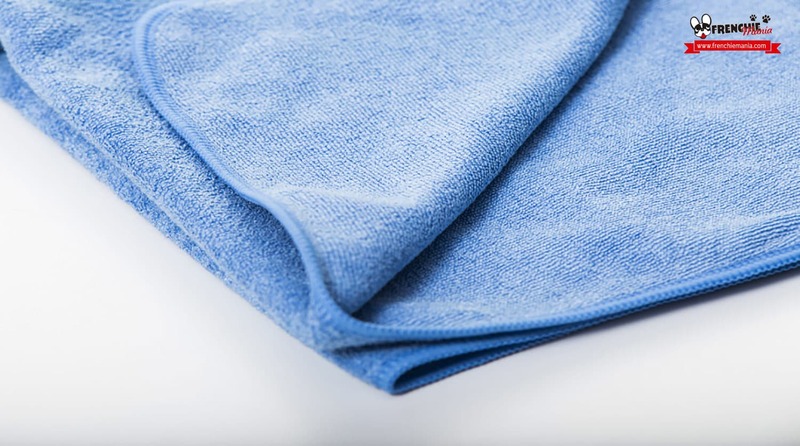 Microfiber cloths make the hairs adhere too and are perfect especially for furniture. The adhesive brush is a classic among those that we have dog and besides having it at home we can leave one in the car to go always presentable to any place. Although it does not remove 100% the hairs since some are very resistant if they are nailed the truth that is a quick solution to always leave home with clean clothes. The pumice stone comes great for dragging hairs just as they do the plastic gloves so it can be a good accessory for the bed, sofa, car. 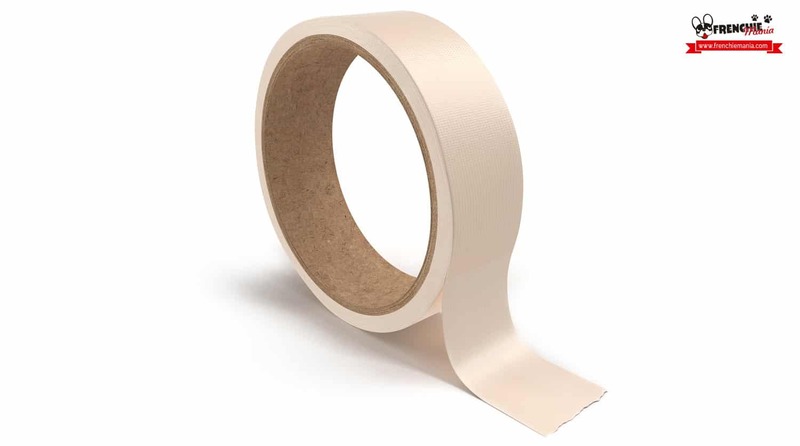 You can easilly roll the painter paper tape in your hand and start cleaning your french bulldog hairs all over the house as they will stick to it. 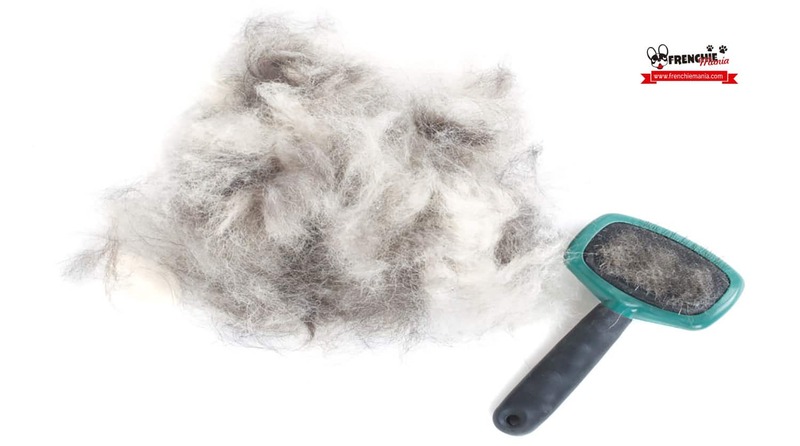 Combing your french bulldog once a week will avoid that you have to clean weekly. You can take advantage of the walk in the park once a week and take everything because otherwise it will be left at home everywhere. In autumn as the trees and in summer when more hair lost, so are stations where brushing is vital to keeping your home clean, where they feel better since excess hair when they are changing makes their skin itch and scratch more. Shower time is very important too to keep their hair clean and healthy skin. As you can see with these simple tips you can keep your home clean of hairs. Having a discipline in terms of cleanliness will improve your quality of life, since it is not only hair but also all the hair they have left to go outside. Surely there are many more, but those of us work very well. 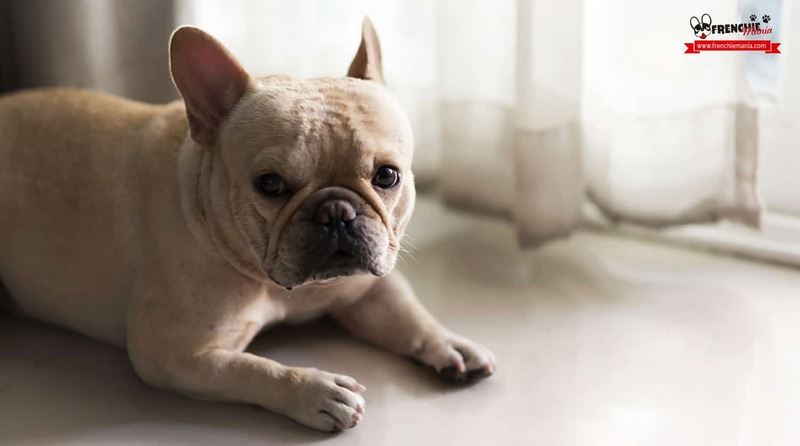 Do you have any tips or tricks when it comes to clean the hair of your french bulldog? We would love it if you share it with us. If you thought this post was interesting and useful feel free to leave a comment and share it on your favorite social networks.